The urgency and importance of the Monsanto Tribunal/Peoples Assembly is even higher than when we started to plan the process. Across the world the movements against Monsanto have grown. Monsanto is the most visible part of the Poison Cartel that has been engaged in a century of ecocide and genocide. Aggressive mega-mergers of the grain and chemical cartels have now become the norm. The Monsanto and Bayer $66 billion merger is just the latest, following on the heels of both the Dow/Dupont and Syngenta /Chem-China mergers. The more powerful these corporations get the more harm they do and the lesser their liability and accountability. The only reason GMOs were introduced into agriculture was to patent seed and collect royalties. Countries rightly excluded seed and plants from patentability. Monsanto is fighting governments from India to Argentina to impose its illegitimate claims to collecting royalties. Movements around the world are demanding a ban on glyphosates/roundup. GMOS, Monsanto and the Poison Cartel cannot co-exist with democracy as is exemplified in the movements against the DARK Act (denial to Americans to the right to know) in the USA and the Investor State Dispute Agreements in new ‘free’ trade agreements such as TTIP and TTP. Even as the failure of herbicide tolerant and BT crops are exposing genetic engineering to be a failed technology, new genetic engineering tools are being pushed in the form of gene drives and gene editing. Never before has it been more critical for people to organize to stop the corporate take-over of our food and planet. 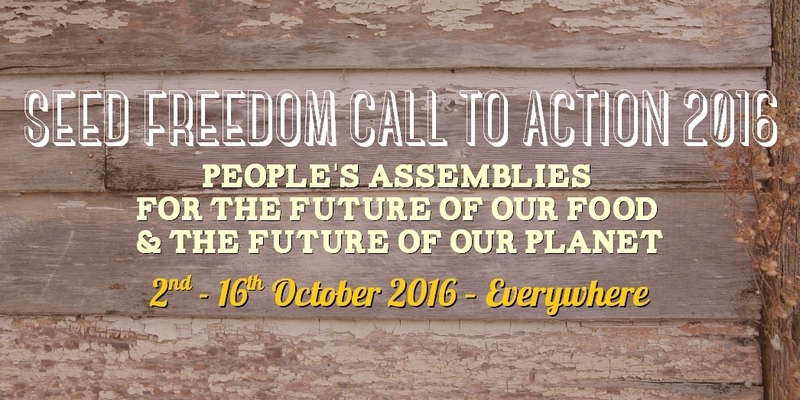 We invite you to organize a People’s assembly wherever you are to shape another future of our food and our planet. People’s Assemblies for the Future of our Food and Future of Our Planet are self-organised events with the aim to place criminal corporations that threaten the health of our planet under a public trial to take stock of the harm that Monsanto and co. have done to our environment, to public health, to scientific and regulatory independence and to our freedom and democracy. 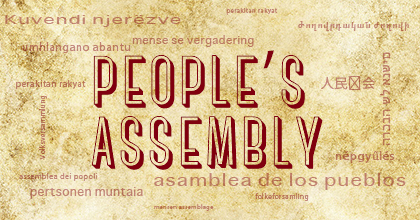 People’s Assemblies also aim at laying out a collective vision through participatory planning at the local level towards a future we all want, that is GMO free, poison free, fossil fuels free, patent free, “free trade“- free, and free of corporate control. 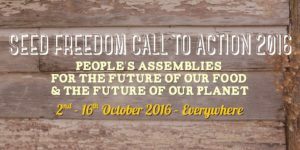 We invite people and communities everywhere – seed savers, gardeners, farmers, mothers, chefs, schools, universities, local authorities, doctors, lawyers, citizens, etc… to organize a local People’s Assembly anywhere – gardens, farms, a field, town halls, public squares, community facility, church yards, school, college, university… – and invite all friends and families, movements and institutions to attend. Let us always remember that We the People as citizens of the Earth, allied as a Planetary Alliance, have more power than the Poison Cartel. 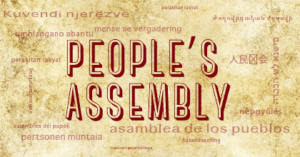 2 Comments to "People’s Assemblies across the world"